My neighbor and good friend, Holly makes and gifts the most beautiful and cozy knitted blankets. She made 2 for Sam and I don’t think he will ever part with them! We had a service auction at church and she put up one of these blankets for auction—I snatched that up so fast! I had just decorated Sam’s nursery in yellows and oranges so I had her make me a yellow one to match his room. Sam loves this blankie, too, but still prefers the blue/green one. My mom made that little navy blue one in “travel” size because Holly’s blankets are BIG and hard to take with you to the grocery store. Sam would not be parted with them so I had my mom make a smaller version which he happily accepted. 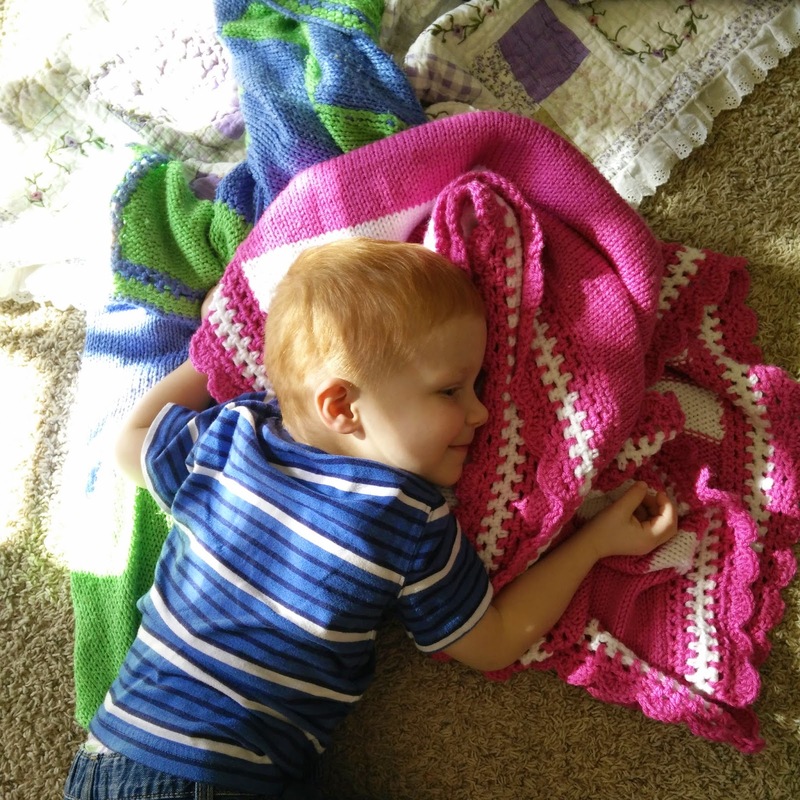 I can get Sam out of the house without them, but he still tries to take a blankie with him about 50% of the time. We keep the navy one in the car for Blankie-worthy meltdowns. 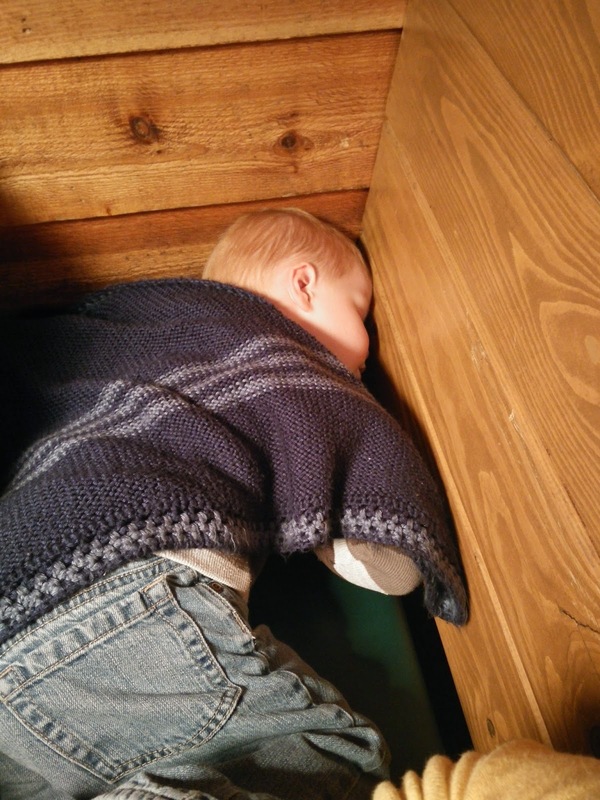 And of course there are 3-blankie days...days which he needs all three all the time. Fast Forward to Ruby--- Holly outdid herself yet again and made a gorgeous pink blanket with stripes for Ruby. I love it so much I almost hope Ruby doesn’t love it as much as Sam loves his so that it will last forever! She crochets such cute edges around them, too! So girly and cute! Love that little blankie hoarder! And Ruby's blanket is such a luscious shade of pink--no wonder you want to keep it new looking.